Mass protests around Japan, over twenty separate alarms, and warnings about the dangers of restarting the nuclear reactors at Ohi from experts in various fields weren’t enough to deter the Japanese government from forcing the restart of the Unit 3 reactor operated by Kansai Electric Power Company (KEPCO). Even as the reactor was being reactivated over the weekend, TEPCO reported another problem at Fukushima Daiichi, as the cooling system for the spent nuclear fuel pool at Reactor 4 broke down on Saturday, and another backup temporary system was set up on Sunday. A series of problems have been reported at the Oi plant since June 16, with alarms going off at locations where the plant receives external power and on equipment used to monitor power transmission lines. The utility was forced to halt its current restart plans to deal with issues with the turbine on Tuesday. On Sunday evening around 9 p.m., amidst huge public protests, engineers at the Kansai Electric Company pulled out the control rods of the reactor core, allowing nuclear chain reactions to resume. The Daily Yomiuri reported that the reactor achieved criticality at 6 a.m., local time, Monday morning. According to KEPCO, on Tuesday, the utility began to generate electricity at a 5 per cent level, adjusting the turbine so that the reactor could start generating power on Wednesday, but the vibrations in the turbine were found to exceed the value recommended by the manufacturer. 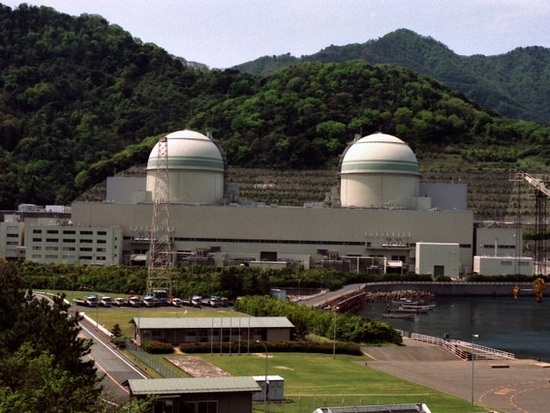 Seishu Makino, Senior Vice Minister of Economy, Trade and Industry announced on July 3 that the restart of Reactor 3 at the Ohi Nuclear Power Plant operated by KEPCO, will be postponed until the morning of July 5. The reactor was to operate at full capacity by next Sunday, but that too has been delayed by at least one day. KEPCO’s second approved reactor at Ohi, the Unit 4 reactor, is due to go online as early as July 17th. Other reactors are already being lined up to follow, including the Kashiwazaki-Kariwa plant in Niigata Prefecture by next April, which is owned and operated by TEPCO, the utility responsible for the Fukushima disaster.